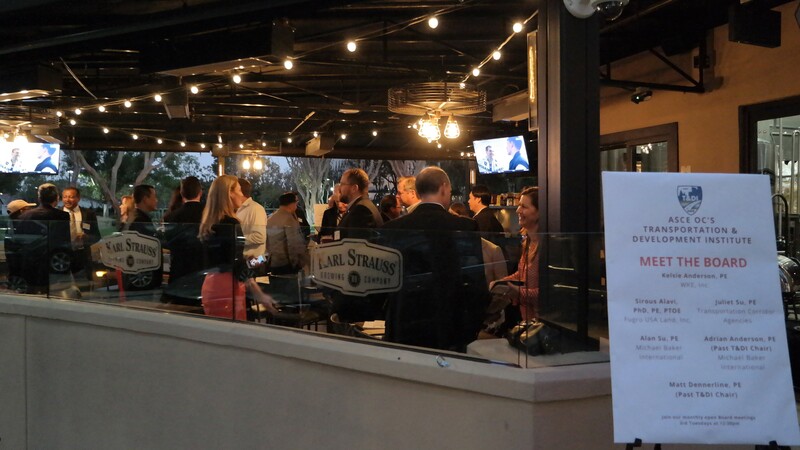 The Transportation & Development Institute held an introductory mixer on January 29th at Karl Strauss Brewing Company in Costa Mesa to kick off its 2019 Lunch Program Season and introduce the Board Members. 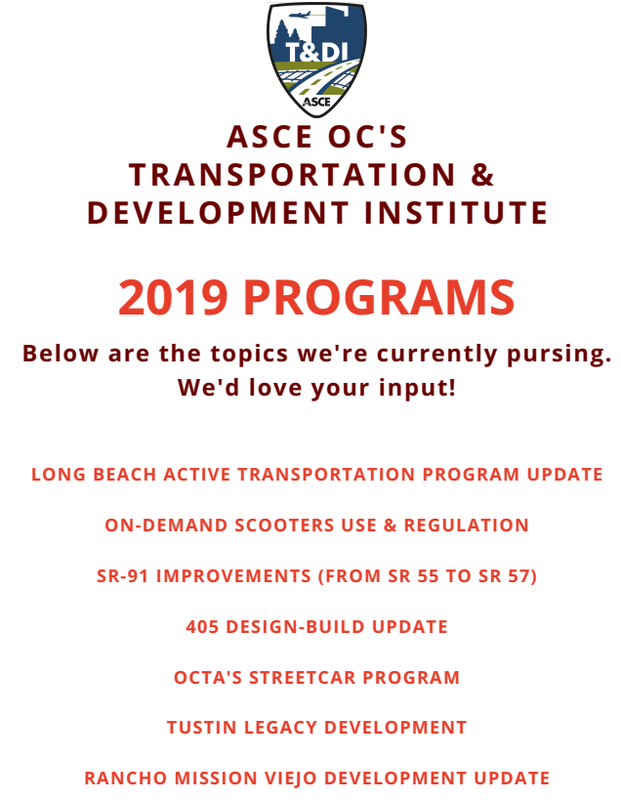 Over 30 attendees were joined by T&DI's invited guests for OCTA, the City of Anaheim, and Rancho Mission Viejo. Below are the T&DI board members and the list of lunch programs we're pursuing for the year. 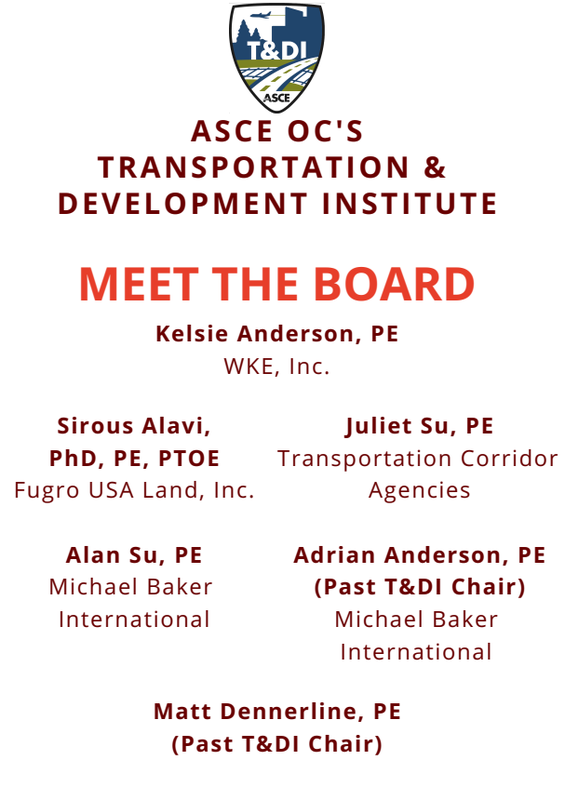 We look forward to seeing our T&DI members along with ASCE OC branch members at our upcoming events.